Go to dashboard and select Company > Departments. Each company has one or more departments. All the departments are listed in this section. 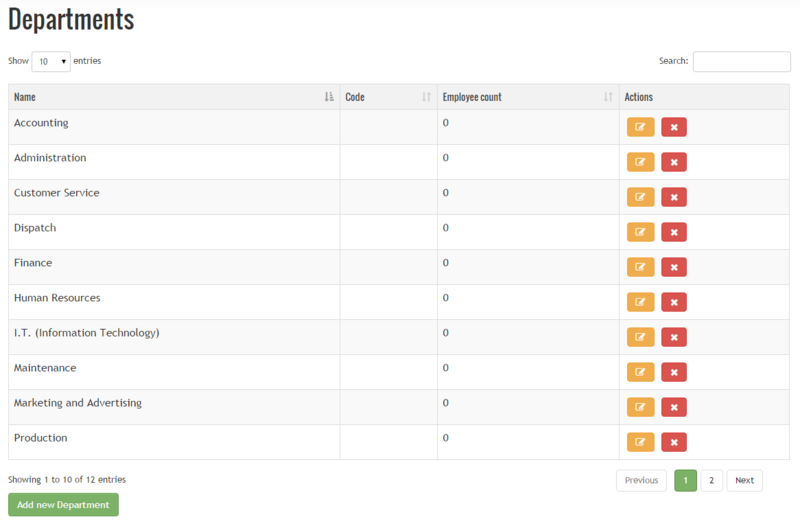 You can add, edit or remove departments from the list. Select the ‘Add new Department’ button and input the new department’s name. Decide on the minimum percentage level of cover that this department requires. Select the appropriate button adjacent to that department. Select the ‘Edit‘ button, input the data and save changes. Accept the delete confirmation request. Please note you cannot delete a department that contains employees. In Edit mode go to Employees tab.